The Japanese Cultural Center of Hawaii has received grants to preserve the history of Honouliuli and other internment sites in Hawaii. WASHINGTON – National Park Service Director Jonathan B. Jarvis on June 16 announced 20 grants totaling more than $2.8 million to help preserve and interpret the World War II confinement sites of Japanese Americans. More than 120,000 Japanese Americans, two-thirds of whom were American citizens, were imprisoned by the U.S. government following Japan’s attack on Pearl Harbor on Dec. 7, 1941. The grants will be used for projects that include a traveling exhibition to tell the lesser known story of the former Tuna Canyon Detention Station in Los Angeles; the immediate stabilization of a root cellar that incarcerees used to store fruit and vegetables that they raised at Heart Mountain in Wyoming; and the creation of an online archive that will include more than 1,300 digitally scanned documents and photographs related to the former Rohwer incarceration site in Arkansas. The grant amounts range from $16,000 awarded to the Friends of the Texas Historical Commission Inc., to research and document a 70-year-old mural that was painted by an internee at the Seagoville Internment Camp (INS Detention Station) in Dallas County, Texas, to $400,000 for New York’s public media station WNET to create “Prisoner in My Homeland,” a series of free online educational video games to engage middle school-age students with the history of Japanese American incarceration during World War II. The Japanese American Confinement Sites Grant Program, now in its seventh year, will support projects in eight states and the District of Columbia. The grants announced this week total $2,845,000 and bring the program’s total awards to more than $18 million since Congress established the grant program in 2006. A total of $38 million in grant funds was authorized for the life of the program. Grants from the Japanese American Confinement Sites Grant Program can go to the 10 War Relocation Authority centers established in 1942 or to more than 40 other confinement sites. The goal of the program is to teach present and future generations about the injustice of the World War II confinement history and inspire a commitment to equal justice under the law. Successful proposals are chosen through a competitive process that requires applicants to match the grant award with $1 in non-federal funds or “in-kind” contributions for every $2 they receive in federal money. A list of the winning projects follows. For more details about these projects, visit www.nps.gov/JACS/. • Asian CineVision Inc., New York City, $159,548 for “The Orange Story: A Cinematic Digital History Project.” Multiple Sites, including Merced Assembly Center, Merced County, Calif; Granada Relocation Center (Amache), Prowers County, Colo.
• California State University Dominguez Hills, Carson, $321,554 for “California State University Japanese American Digitization Project.” Multiple sites. • Densho, Seattle, $236,777 for “Confinement Sites Encyclopedia Enhanced for Education.” Multiple sites. • Densho, Seattle, $131,574 for “Making Connections with the Japanese American Incarceration.” Multiple sites. • Friends of the Texas Historical Commission Inc., Austin, Texas, $16,000 for “Seagoville Internment Camp: Detainee Mural and Japanese Colony Study.” Seagoville Internment Camp (INS Detention Station), Dallas County, Texas. • Friends of Waipahu Cultural Garden Park (aka Hawaii’s Plantation Village), Waipahu, Hawaii, $112,000 for “Phase Two, Administration Building Construction Documents, Student Participation, and Exhibit.” Honouliuli Internment Site, Honolulu County, Hawaii. • Heart Mountain, Wyoming Foundation, Powell, Wyo., $90,500 for “Heart Mountain Root Cellar, Phase II: Emergency Stabilization.” Heart Mountain Relocation Center, Park County, Wyo. • Heart Mountain, Wyoming Foundation, Powell, Wyo., $28,639 for “Japanese American Confinement Sites Consortium.” Multiple sites. • Heyday Books, Berkeley, $100,000 for “Journeys from Manzanar,” a published book project. Manzanar Relocation Center, Inyo County, Calif.
• Japanese Cultural Center of Hawaii, Honolulu, $215,502 for “Hawaii Japanese American Internment: Short Documentaries on the Hawaii Confinement Sites in the Counties of Kauai, Oahu, Hawaii, and Maui.” 17 internment sites on the islands of Hawaii, Kauai, Oahu, Maui, Molokai, and Lanai. 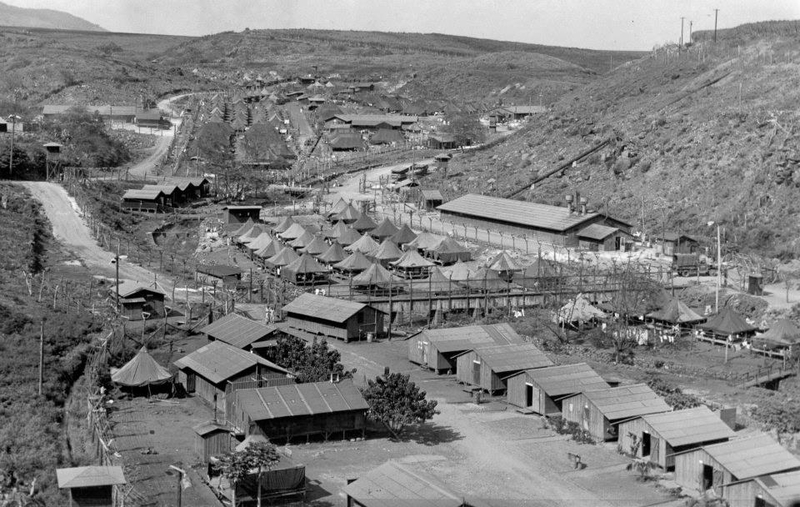 • Japanese Cultural Center of Hawaii, Honolulu, $38,600 for “The Power of Place: The Archaeology of Hawaii’s Internment Sites.” Honouliuli Internment Camp, Honolulu County; Haiku Camp, Maui County; Kalaheo Stockade, Kauai County; and other internment sites in Hawaii. • National Japanese American Historical Society, San Francisco, $83,875 for “Camp Digital Archives.” Multiple sites. • National Trust for Historic Preservation, District of Columbia, $137,178 for “Left Behind: Documenting the Japanese American Collections at Seattle’s Panama Hotel.” Minidoka Relocation Center, Jerome County, Idaho. • The Regents of the University of California, c/o UC Berkeley Sponsored Projects Office, Berkeley, $296,347 for “Japanese American Internment Sites: A Digital Archive.” Multiple Sites, including Colorado River Relocation Center (Poston), La Paz County, Ariz.; Tule Lake Segregation Center, Modoc County, Calif; Gila River Relocation Center, Pinal County, Ariz.; Manzanar Relocation Center, Inyo County, Calif.
• San Fernando Valley Japanese American Community Center, Pacoima, $102,190 for “Only the Oaks Remain: The Tuna Canyon Detention Station Traveling Exhibit.” Tuna Canyon Detention Station, Los Angeles County. • Special Service for Groups, Los Angeles, $20,000 for “A Flicker in Eternity Interactive Curriculum: Teaching Stories of Confinement.” Heart Mountain Relocation Center, Park County, Wyo. ; Manzanar Relocation Center, Inyo County, Calif.
• University of Arkansas, Fayetteville, Ark., $254,606 for “Rohwer Reconstructed II: Making Connections Through Time and Space.” Jerome Relocation Center, Chicot and Drew Counties, Ark. ; Rohwer Relocation Center, Desha County, Ark. • University of Central Arkansas, Conway, Ark., $75,908 for “A Season of Remembrance: Rohwer and Jerome at 70.” Jerome Relocation Center, Chicot and Drew Counties, Ark. ; Rohwer Relocation Center, Desha County, Ark. • University of Colorado, Denver, $24,202 for “Amache 3D Digital Documentation.” Granada Relocation Center (Amache), Prowers County, Colo.
• WNET, New York City, $400,000 for “Mission US: ‘Prisoner in My Homeland.’” Bainbridge Island, Kitsap County, Wash.; Manzanar Relocation Center, Inyo County, Calif.; Minidoka Relocation Center, Jerome County, Idaho.